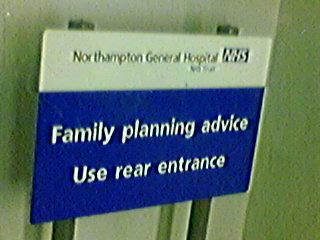 Hey, we can all use some family planning advice. Sonja sends us this bit of news, about Al Gore winning a major literary award for his climate change book. It’s all part of the master plan, people… Gore in 2008. Okay, time to pipe up about the whole Michael Ignatieff controversy. For my non-Canadian readers, this is what happened. Ignatieff, the leading contender for the leadership of the Liberal party, and hence the likely next Prime Minister, went on French media and commented that a particular event in the recent Israel-Hezbollah conflict constituted a “crime de guerre”, or war crime. The current Prime Minister, Stephen Harper, in one of his dumbest political moves yet, then commented that this was indicative of the entirety of the Liberal leadership’s “anti-Israel” slant. The Liberals then lined up and called Harper “disgraceful” and “divisive” for his comments, yadda yadda. Ignatieff, meanwhile, started backpedalling to distance himself from his own comments, even going so far as to arrange a trip to Israel to show how pro-Israel he is. Unsurprisingly, the trip has been cancelled. I’m quite disappointed in Ignatieff. He played this all wrong. He was correct to label the Qana incident a war crime, or at least to express concern over it. His detractors were wrong to then label him “anti-Israel” for the comments. It’s a George Bush move: to demand that the world conflate patriotism with blind loyalty. Ignatieff should have gone on the offensive and demanded some rationalism from his opponents. How is it “anti-Israel” to comment on a single event in the conflict? For that matter, how is it “anti-American” to demand that illegal American military prisons and torture camps be decommissioned? Would it have been “anti-Canadian” to question the ethics and legality of our Japanese internment camps during WWII? Was it “anti-Canadian” to have demanded that our military be held accountable for its crimes in Somalia? See? Ignatieff, after all, is one of the most pro-Israeli Canadian politicans not in the Conservative party. An objective assessment of his record concludes that he is both pro-Israel and anti-war crime, a position that is both defensible and electable. Why couldn’t he simply say that? His detractors, Harper among them, need some serious lessons in both logic and ethics. And Ignatieff needs to grow a spine. But if you want to know Ignatieff’s real problem, read this.